Plump. Juicy. Delicious. Blackberries have their own unique taste, sweet and a bit tart at the same time. In my home state of Ohio, blackberries grow wild in the woods and along the roads in many places. I remember picking berries with my grandpa and cousins. We would eat more than we picked. Somehow we managed to bring home enough for grandma to make one of her mouth-watering cobblers. 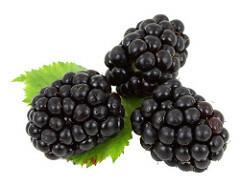 Blackberries are rich with polyphenols and anthocyanins, antioxidants that prevent cancer and heart disease. They additionally contain Vitamins C and E, and ellagic acid, which provide protection against cancer and chronic disease. Cooking does not seem to destroy ellagic acid, so even blackberry jam retains its health benefits. Blackberries are low calorie and low sodium. Because of their seeds, blackberries are a source of soluble and insoluble fiber. Be warned that due to a high tannin content in some varieties, overindulgence may lead to constipation. Aspirin-sensitive individuals should also use blackberries with caution since blackberries are a natural source of salicylate, and active substance found in aspirin. Deer netting protects berries from birds, rabbits and other pests. 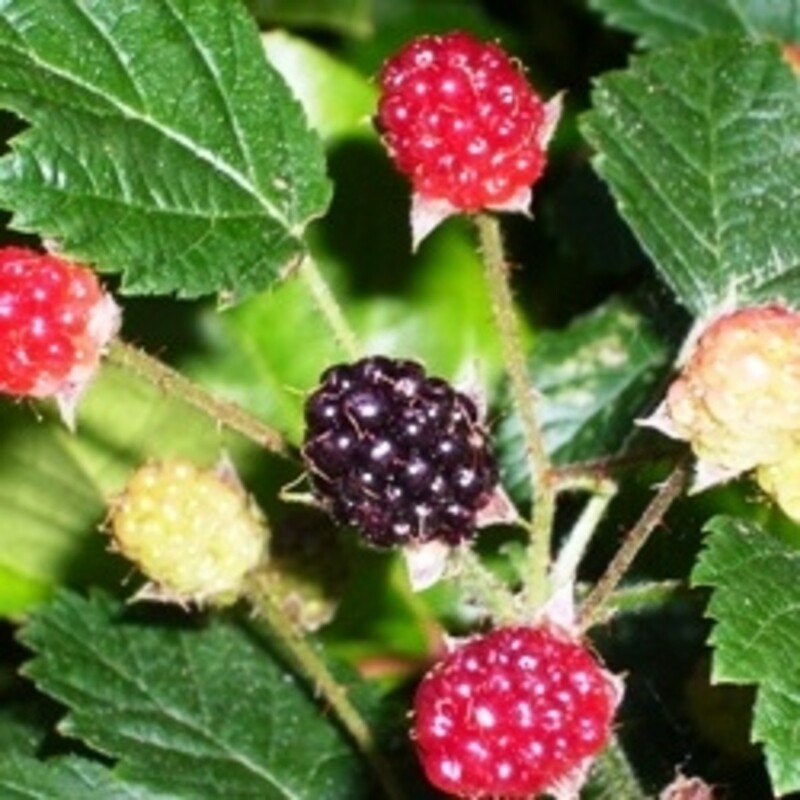 There are several varieties of blackberry plants; the thornless variety is the most popular. Anyone who has ever spent a few hours in blackberry brambles will tell you to go thornless, whenever possible. So where do you find the plants? Try your local Lowes, Home Depot or Walmart first. I purchased my first plants from Walmart and they've been giving up huge delicious berries for three years now. Local nurseries should have blackberries in stock, depending on the season. 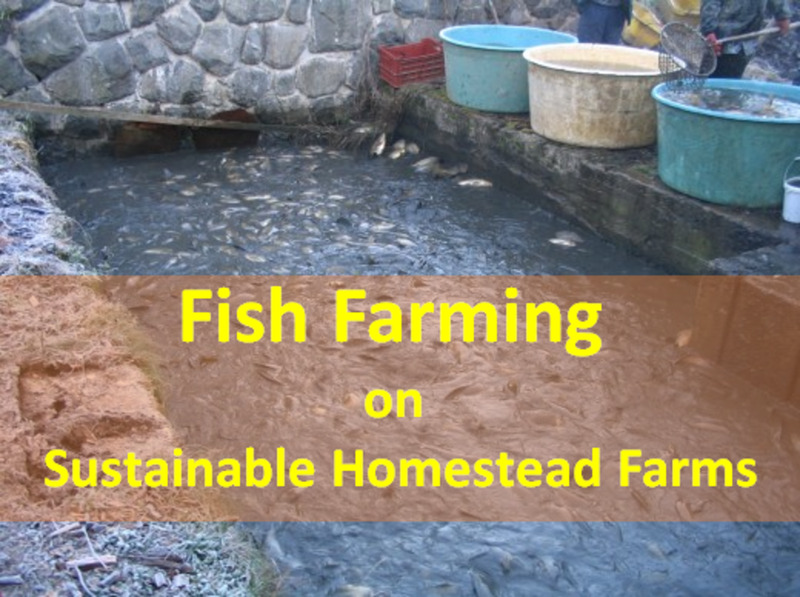 And if you google you can find several online nurseries and seed houses with stock. Spring Hill Nursery and Burpee are two good examples. Once you have the plants you will need to find the perfect place to plant them. Blackberries prefer full sun, though some varieties will tolerate light shade. They need to be planted in light soil with good drainage. Standing water will kill your blackberry plants. If you plant a trailing variety you will need an arbor or support for the arms. Loaded with juicy berries, these arms get very heavy. 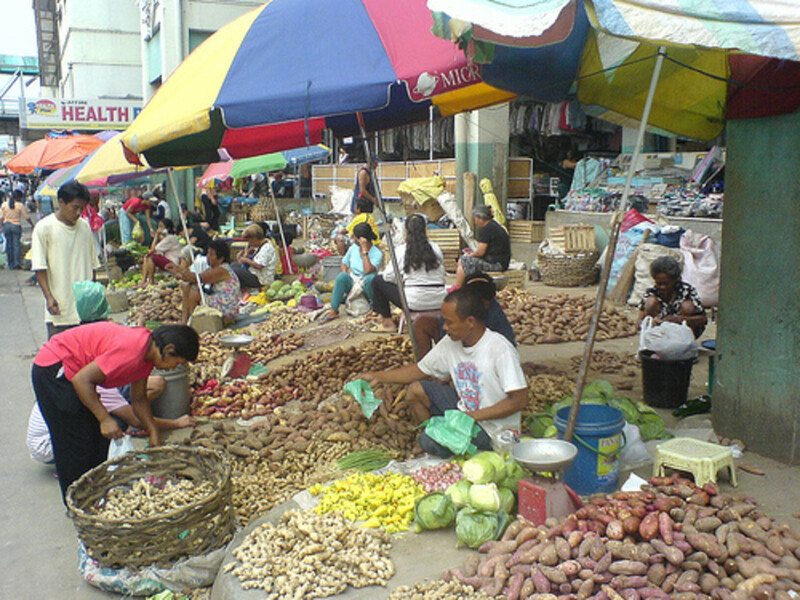 You don't want your fruit laying on the ground where pests will devour them. Each spring you will need to prune the branches back. This helps strengthen the plant. Always give the bush plenty of water, but never leave it soaking. Blackberry plants are susceptible to mildew and rot. While the tannins found in the blackberry fruit are in small enough quantities to be healthy without consuming too much, there are much larger amounts found in the leaves and root of the plant, which are sometimes used to make tea. There is some evidence that a massive load of tannins, like those in such teas, can potentially increase the size of tumors in cancer patients. People who have a history of cancer should avoid teas made from blackberry leaf or root. Not only do humans love those plump blackberries; so do pests. Earwigs, Japanese beetles, cutworms, and grasshoppers are just a few of the insects that might drop by uninvited. The best way to discourage insects, that I've found, is Sevin dust. Sevin dust is a powdery insecticide most gardeners use on the fruit and vegetable gardens. Sprinkle Sevin dust on the leaves of the plants and you shouldn't have any problems. Do not apply to fruit (or vegetables, for that matter), once they are maturing. That decreases the likelihood that you'll be serving some of the insecticide with Sunday dinner. Even if you manage to keep your blackberry plants insect free, once the fruit begins to ripen you will most likely have birds and other wildlife picking your plants clean. A good way to combat this problem is deer netting. It is an easy and inexpensive way to protect the fruit. I've used it myself for several years now. 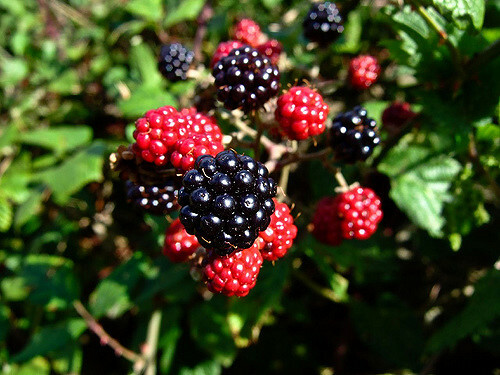 Blackberries are among the most perishable of fruits. They can turn soft and mushy within 24 hours. If you cannot use the berries the same day you collect them, your best bet is to freeze them for later use. To freeze blackberries: Wash and dry berries. Place in a single layer, slightly apart on a baking sheet. Place the tray in the freezer until the berries are solidly frozen, then transfer berries to an airtight container or plastic freezer bag. Make sure to press all of the air out of the freezer bag, label and date it. Berries will keep in the freezer for 6 months. 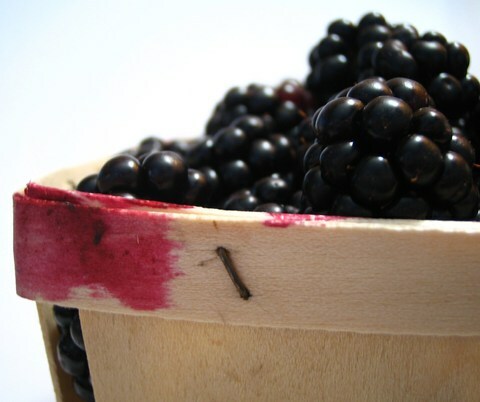 Blackberries can be used in jams, juices, syrups, pies, cobblers, muffins, and even wine. Sorry, I don't know if you can grow them in Libya. Enjoyed this hub! 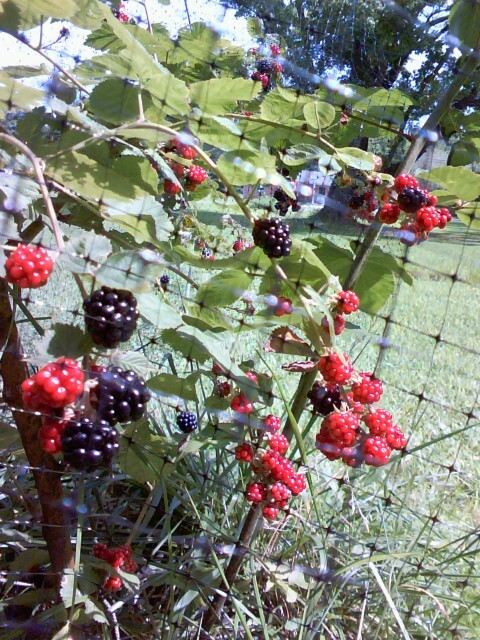 We had wild blackberries growing on our farm. They spread into the iris rows, so I enjoyed a treat while I was working during blackberry harvesting season. So yummy! When I was a kid back in western Pennsylvania, I used to pick blackberries by the bucketful for my Mom who would then make jelly and pies with them. Yes I do know what thorn is.